ANDRITZ cutter-layboy technology ensures high performance and safe operation of market pulp sheet drying plants. The system can be operated in fully automatic mode controlled by the ANDRITZ BaleMatic pulp finishing control system. The ANDRITZ cutter-layboy is engineered for reliable operation even at highest speed with minimal maintenance requirements. With a speed of up to 300 m/min and a maximum width of more than 9.4 m, the ANDRITZ cutter-layboy meets the requirements of any state-of-the-art market pulp drying and pulp baling line. 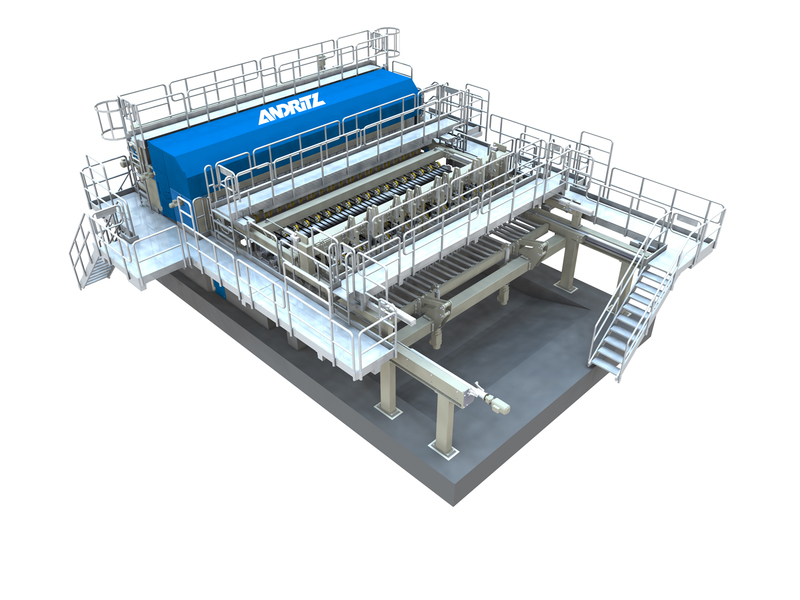 The ANDRITZ BaleMatic has been developed specifically for pulp finishing systems. A fully automatic PLC (Programmable Logic Controller) system for high reliability controls the BaleMatic. Sophisticated programming ensures optimum results for time-critical machine functions, as well as safe and comfortable operation of the equipment. Production and system data are transmitted to a DCS or mill-wide information system via an interface. BaleMatic uses standard field bus technology.